Hahaha, this is essentially the TMBG’s-Join-Us-Fiasco only our roles are reversed. As much as I hate to admit it, you may be right. Hometown pride and the nostalgia factor mean I’ll never dislike these guys. If you find a song as bad as “2082” on this record, though, I’d be shocked. I think you are onto something with regard to the lack of record company oversight leading to possible self-indulgence. I saw Wilco a week ago Sunday. Don’t get me wrong, they were very good. I am sure that you will enjoy the show. However, the part in the song where they stop playing notes and bash at their instruments to a crescendo was part of maybe 8 of the first ten tunes. I admit they did it artfully – no two were exactly the same. Still, I don’t need that much artful bashing and I don’t think the audience did either (Mr. Tweedy actually thanked the audience for their “patience” with all the new numbers – coincidentally containing most of these bits – see http://www.montrealgazette.com/Review+Wilco+Metropolis/5424431/story.html). Nels Cline at times was conspicuously (gulp) Robert Fripp-like (but in a good way, to me at least). Now, Mr. Ear, you need to do some show prep. 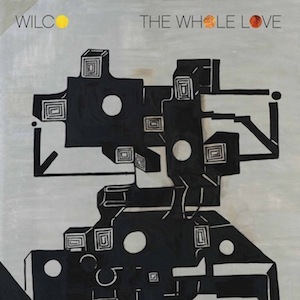 You have already heard all of Wilco’s studio albums. Time to research the opening act. I recently got Nick Lowe’s re-released first album (under its British title) “Jesus of Cool” and contains the original of the song Wilco covered on the b-side of “I Might”, “I Love My Label”. Most excellent.